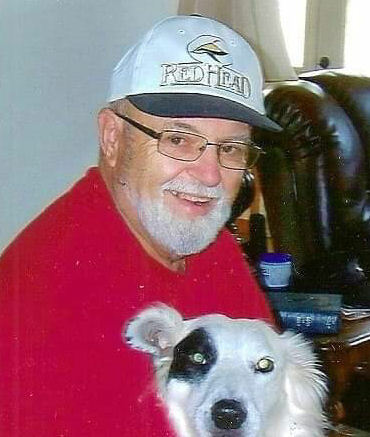 Retired United States Air National Guardsman Clarence L. Beaudry Jr., age 82 of Highlandville, Missouri passed away Saturday, April 6, 2019. Clarence was born October 1, 1937, the son of Clarence and Margaret (Abrams) Beaudry. Clarence was an avid hunter, sportsman, outdoorsman and animal lover. He and his wife Barbara enjoyed traveling, cruises, and caring for their dogs. In the Air National Guard, Clarence traveled the world operating the mid-air refueling boom on a KC97. Clarence worked at the Ladish foundry in Cudahy, Wisconsin for 15 years and General Electric until his retirement. Clarence is preceded in death by his wife Gail Beaudry, parents Clarence Beaudry and Margaret Beaudry (nee Abrams), and son Mike Beaudry. Clarence is survived by his loving wife Barbara (Cordle) Beaudry; brother Dennis Beaudry; sons Ron, David, and Jack Beaudry and wife Valerie; grandchildren Tony, Danielle Nevins and husband Tom, Emily and Drew Beaudry, a niece, nephews, and great grandchildren. Arrangements under the care and direction of Barnes Family Funeral Home, Ozark. Online Condolences may be shared at www.barnesfamilyfunerals.com.